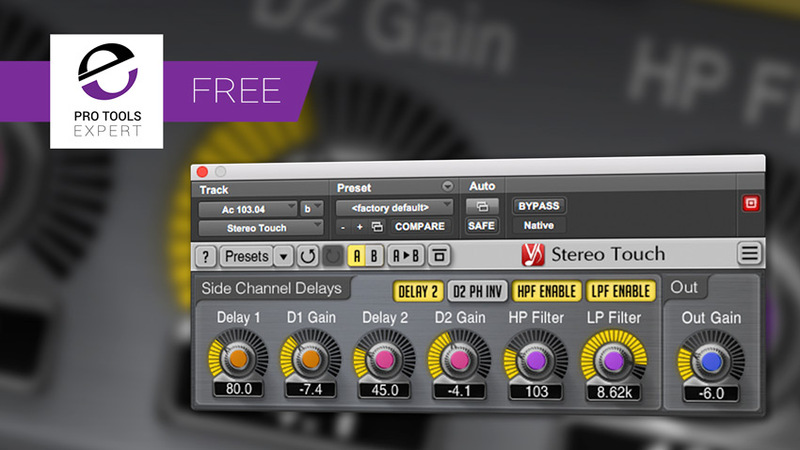 In this week's Friday Free Plug-in, we are featuring Stereo Touch From Voxengo. A stereo widening plug-in which uses delays in the sides channel to generate width on Mono sources. This AAX, AudioUnit and VST audio plug-in implements a classic technique of transforming a monophonic track into spacious stereophonic track by means of mid/side coding technique. Stereo Touch is most effective on monophonic sounds without overly sharp transients: it works great for both acoustic and electric/overdriven guitars, synthetic pad sounds and even vocals. By means of this plugin you can easily get spacious and even “surround” sounding tracks, without utilising a double-tracked recording technique. The plug-in takes a mono input signal and generates a stereo output signal. This plug-in can also work with multi-channel input signal, but in this case all channels get processed independently of each other like they are separate mono input signals, and then all resulting stereo streams get mixed together to produce a single stereo output signal. Stereo Touch is a free plug-in and no iLok is required to run it.